The database contains all catalogue data starting from 2000/2001. Click and Play: reliable, indestructible plug-in connection. 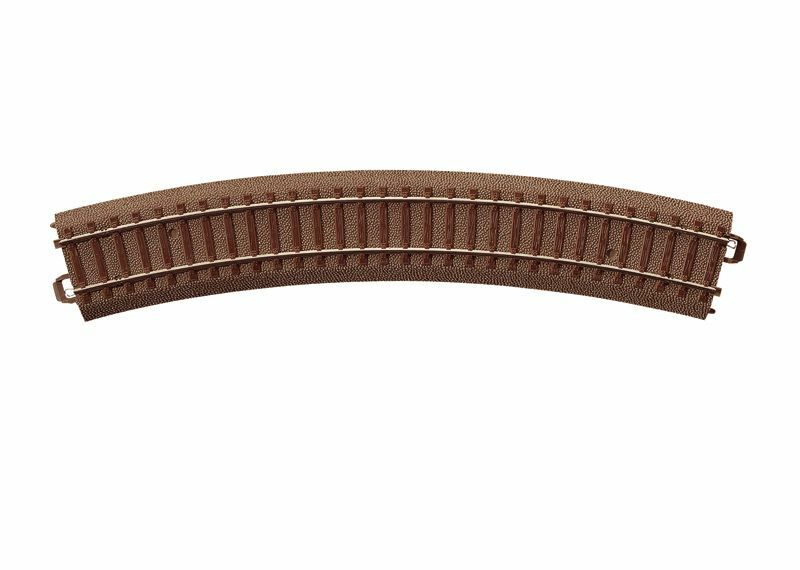 Perfect in form and appearance: roadbed, ties, rail fasteners. Code 83: The rail profile is 2.1 mm / 0.083" high. Universal: for locomotives / cars with NEM wheels. Open view: prototypical air space between the rails and the roadbed. Geometry: track configurations without large numbers of adjustment sections. Modular: The roadbed always fits - without the need to alter it. Under the roadbed: protected plug-in contacts instead of easily damaged rail joiners. Radius 437.5 mm / 17-1/4", curve 30°.